What Are You Grateful For On Thanksgiving? 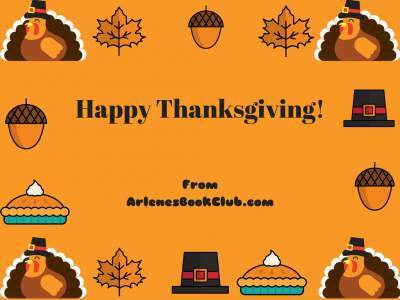 We at Arlene’s Book Club have a lot to be thankful for this year. Firstly, I like to say a big THANK YOU to all our readers, especially the ones that have taken the time to comment on the posts. Without you it would be really dull, so thank you for making life more interesting and colorful. I am full of gratitude for hitting over one thousand comments. As of today, we have 1,124 comments for the 15 months that we have been around. That is really remarkable – Thank You for contributing! Thanksgiving is a time for family and I would be remiss if I did not give thanks to my family. I am so grateful to have such a wonderful loving family. I am also grateful to have great friends who not only support me but make me a better person. These people know who they are. Thank you for being in my life’s journey. Also, I am thankful for books. 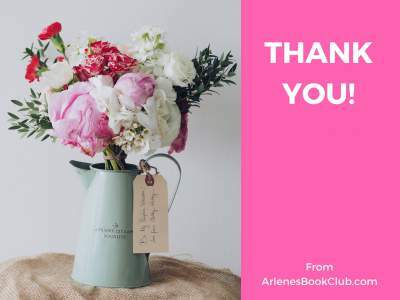 Thank you, to all the authors out there who put their heart and soul on paper, for us to enjoy and help us grow. (see my thoughts on do books make you smarter). Books have really enriched my life and I am thankful to have discovered lots of good books to read. You can see our book reviews for suggestions or go Top Selling Books on Amazon to get more reviews on books that may interest you. Thanksgiving is a great time to reflect on what we are grateful for and to spend time with our loved ones. On this official holiday, how do you celebrate it? Do you have turkey with all the trimmings? Do you watch the New York City’s Thanksgiving Parade presented by Macy’s department store? How about watching the football? Or do you like shopping in the sales? I’d love to hear what your Thanksgiving traditions are, and what are you grateful for on Thanksgiving? I’m just grateful for each and every breath…ta, God, it’s jolly kind of ya, especially after you have to put up with all that singing we launch at ya every Sunday. Keep up the good work, Dinh, oh, and you too, God, and all the best to the both of you. It’s so nice to hear from you my old matey! Thanks for sharing your tuppence. It’s nice to hear that you are grateful for your breath! LOL, I am glad I am here as well and grateful for my health. When you get older, health is so important. I ate so much that I couldn’t move and wanted to change into my sweats. I was bursting at the seams! LOL, I didn’t fall asleep this year but would have loved a nice nap. Hi Dinh! Lovely and thoughtful post. I’m thankful for all you’ve mentioned. I’m also thankful (and cursed) for all my flaws. Without them I wouldn’t be who I am. They are mine to own and cherish and I wouldn’t want it any other way. Happy Thanksgiving my friend. There’s so much to be thankful for and so much to appreciate when we take a minute to think about what we are grateful for. I am not from the U.S. and really appreciate Thanksgiving. It’s nice to appreciate what we have and not take it for granted. Seeing that I live in Canada, my Thanksgiving was in October, but that doesn’t matter, as the general idea of the holiday is to acknowledge what you have and be thankful for things you may take for granted, and this can be done at any time of the year! 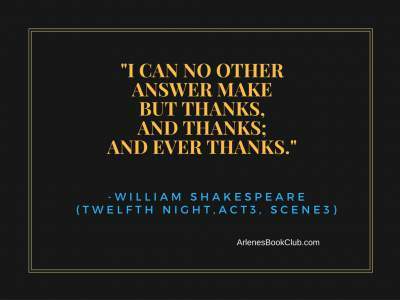 I am thankful for family and good health and support I get from other people when I need it, like you do as you mentioned with comments on your site! Happy Thanksgiving to you! I agree with you that we should celebrate Thanksgiving and remember why we should be grateful. We do sometimes take it for granted. Thank you for sharing. I am thankful for my family and friends, their health and love. I am also thankful for books and am an avid reader as well. I am new to your site but really look forward to looking around, hopefully finding great new book ideas and sharing my favorites in the future. Keep up the great work. Nice to meet another avid reader. First of congratulations on all of the work that has been done on this site over the last 15 months. At this time I am grateful for my family. I have spent a number of years researching my family history, so I have grown to appreciate the ones around me. I have also grown to appreciate my ancestors, as if it weren’t for them and the sacrifices that they made there would not be me today. It’s good to know our family history and what better way to find out by eating a meal and talking to our family members about their history. I bet you have some stories to tell! Thanksgiving already? I’m in New Zealand to out of touch with it. Hope you all have a Happy Thanksgiving! Yes Thanksgiving is almost upon us. On Thursday most Americans will be eating turkey and pumpkin pie. I am from a close family and we all get along really well. My family is in England so I miss them and get to see them only when I go there. We do FaceTime and it’s nice to stay connected that way. First I’m am thankful to God for keeping me alive till this moment.I’m thankful for providing good health and I’m thankful al the opportunities some of which I acted and some which I didn’t. I’m thankful for all the good things that has happened in my life so far and also all the bad things that has gone away. I hope you continue to have blessings! I have so much to be thankful for. Always look forward to family gatherings and a great meal! Its so easy in our busy lives to forget about all of our blessings. I am thankful for my beautiful daughter, my family, friends and health. I look forward to a nice meal with family too.